The physiotherapists at CSPC are experienced in assessing and treating CrossFit athletes on a regular basis and we have been in partnership with CrossFit Leeds for some time now, providing physiotherapy and injury prevention for their athletes. CrossFit is a unique sport in that it uses various movements and exercises which are executed at high intensity and high load. The physiotherapists at CSPC understand the demands that CrossFit WOD’s (Work Out of the Day) and competitions place on the body and are passionate about injury prevention and helping each athlete perform at their best on a daily basis. During the CrossFit MOT, the physiotherapist will look at your body from head to toe assessing strength, flexibility, stability, proprioception, biomechanics, breathing, functional movement and lifting technique. The physiotherapists recognise that ensuring correct lifting technique during CrossFit workouts from the first rep to the last is essential to prevent injury. Their keen eye can see when your lifting technique or movement pattern is not up to scratch. Those are the little things that can cause injuries In the future or maybe holding you back on your PBs. During the session the physiotherapist will assess the key movements that you are required to perform during CrossFit sessions, focusing on the areas you may be struggling with and analyse your technique, strength and conditioning. 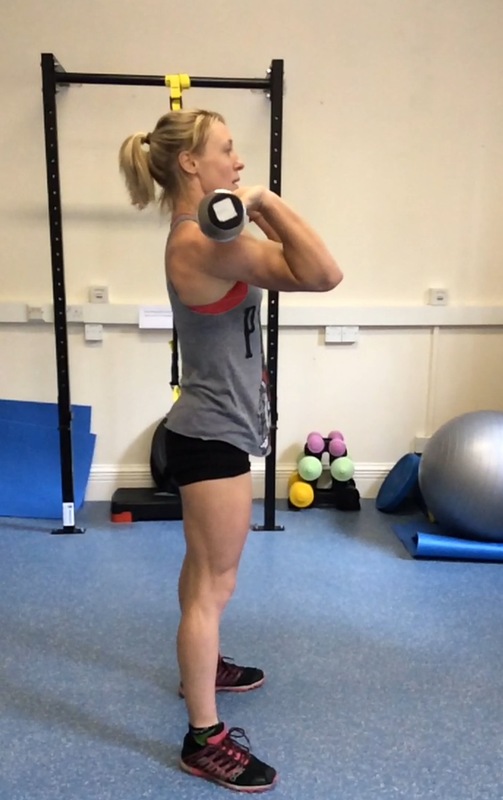 Video analysis of your lifting techniques can also be used during the CrossFit Full Body MOT session to ensure nothing is missed and technique can then be reviewed. It may also be helpful to bring some videos of yourself during a WOD when you are working at max effort to show the physiotherapist what happens when you are not so fresh. The clinic has an equipped gym including a squat rack with an Olympic bar and weights where the physiotherapist can analyse your movements and, after finding your weaknesses, can show you how to improve your body to help better your movements and reduce the risk of injury in the future. Common mistakes are usually due to poor technique as a result of reduced flexibility, which prevents the correct movement being performed even when the strength is there. Using poor technique, before you even add weight to the movements, reduces the strength of a lift and is not going to result in an easy WOD. The physiotherapist will assess you and give you the tools to improve yourself to make sure your body is able to perform all of the movements required of you as a Crossfit Athlete to the best of your ability. You will be able to push yourself harder and train more consistently throughout the year as a result of being less prone to injury. Cost: A 90 minute CrossFit Full Body MOT including assessment, treatment and a detailed report £144 with a physiotherapist.